Secure access and use of land for men and women is crucial for sustainable development, food security and for a vibrant agricultural sector in support of inclusive socio-economic development. The brochure briefly presents how land governance is improving globally and at the country level. 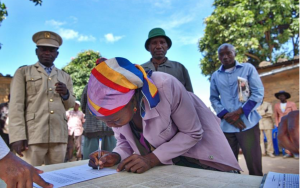 In particular, critical issues such as equal land rights for women and the statutory recognition of customary land rights are addressed by many projects. Download it here: Land brochure 2018.